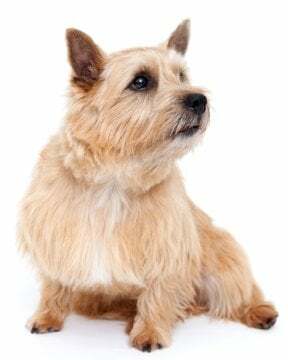 The Norwich Terrier is a native breed of Norfolk, England. 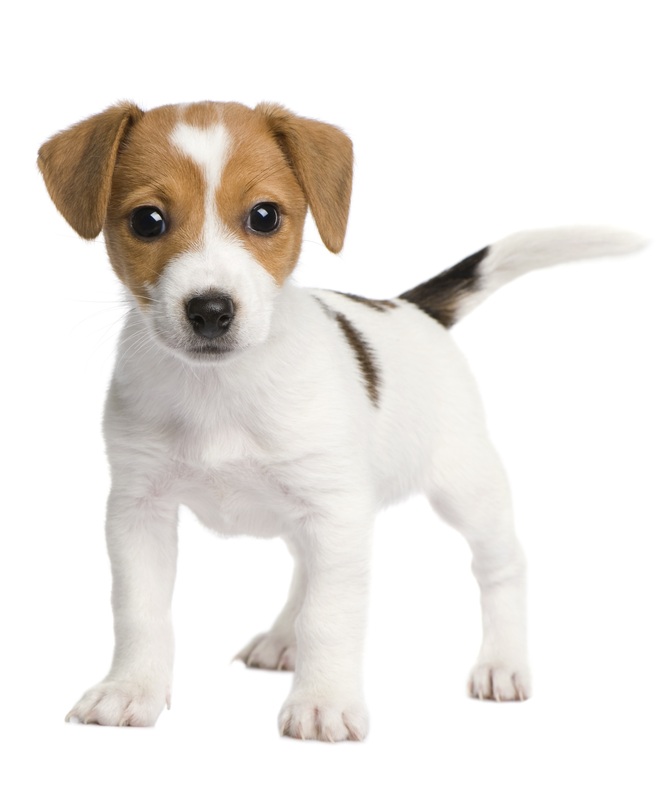 This lovable little dog is among the smallest of the working terriers. It has a short, strong, sturdy body with strongly boned legs and a fox-like muzzle with large solid teeth. The eyes are dark and expressive and the ears are upright. The tail is docked by half. 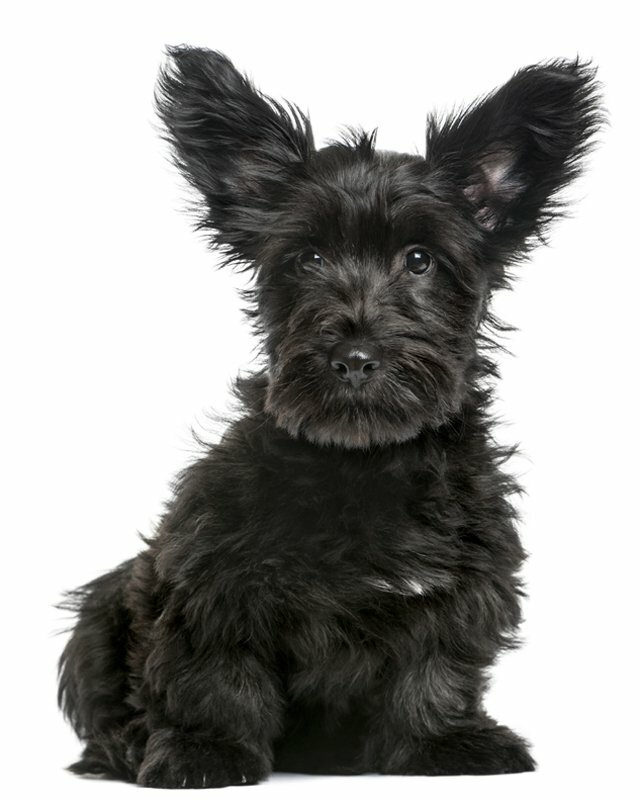 The coat is wiry and straight and come in red, wheaten, tan, black & tan, and grizzle – occasionally with white markings. 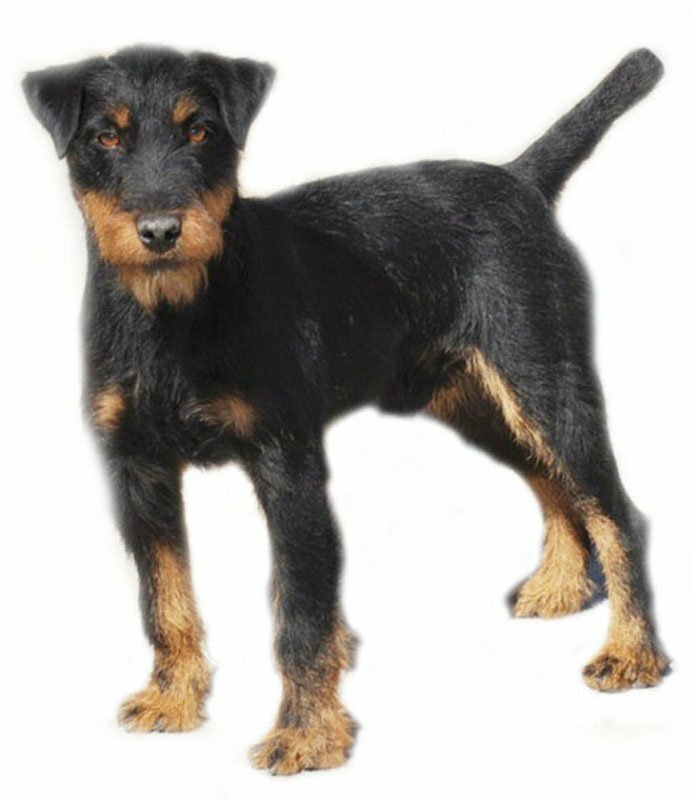 These Terrier dogs are small, portable an adaptable dogs. 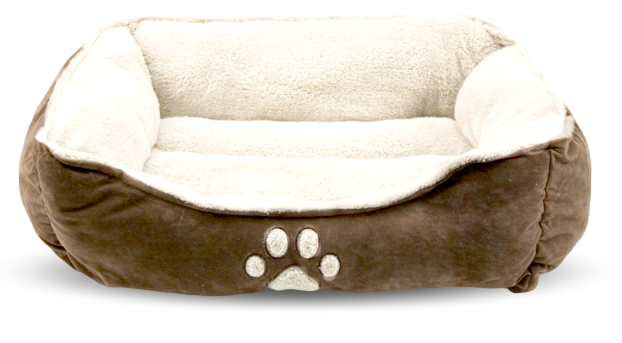 They make a delightful companion who loves to hunt, dig and investigate. 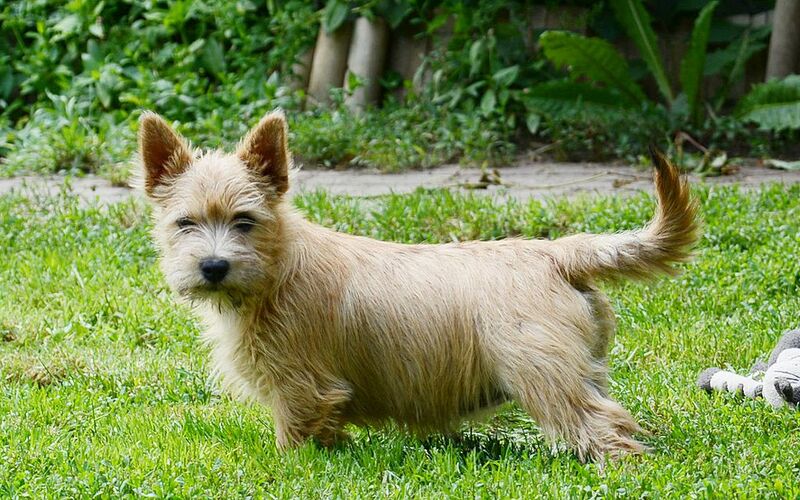 The Norwich Terriers are active, courageous, affectionate, balanced, without any nervousness or quarrelsomeness. They love everyone and are good with children. Easy to train. 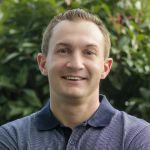 They will dig and bark if left outside for long periods of time with nothing to occupy their quick minds. 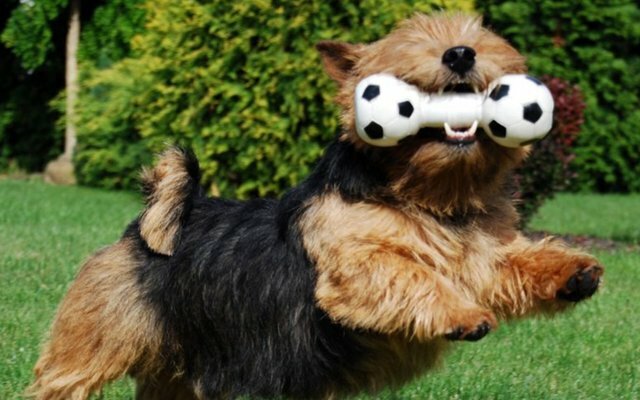 These lovely dogs love toys and balls and are generally good with other pets, but can be difficult to housebreak. 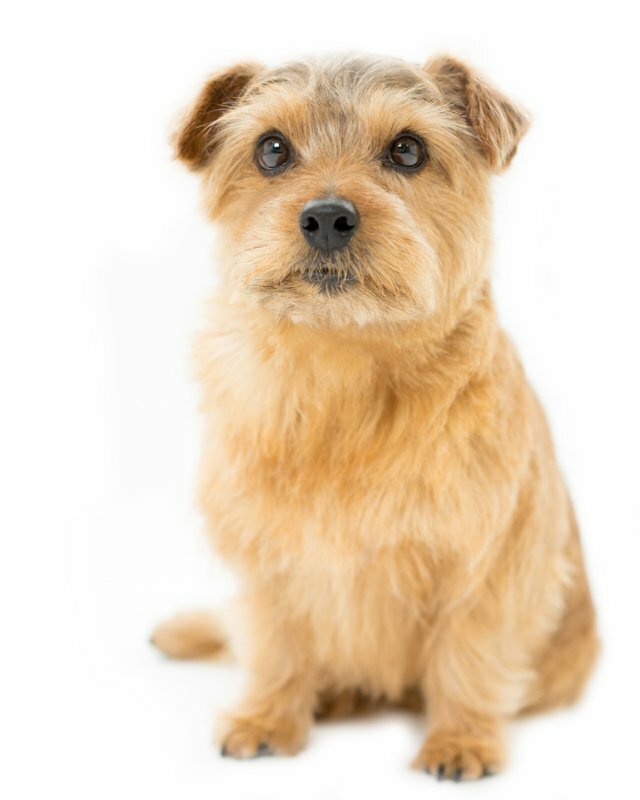 Norwich Terriers should not be let off of their lead unless secure. They are okay joggers for short distances. All shades of red, wheaten or black and tan; white marks and patches undesirable. They have a hard, wiry and straight coat. 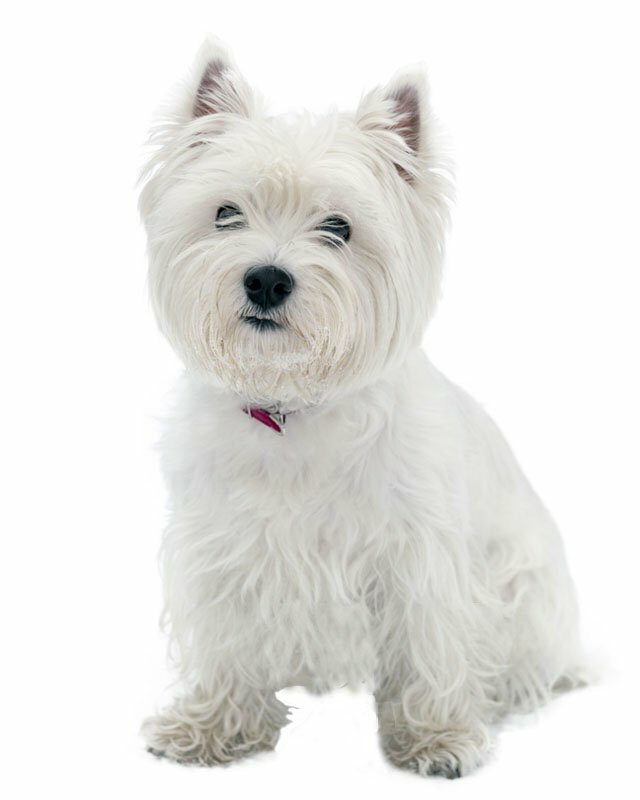 The shaggy, medium-length, waterproof coat is relatively easy to care for, but daily combing and brushing is important. This breed is a light shedder. 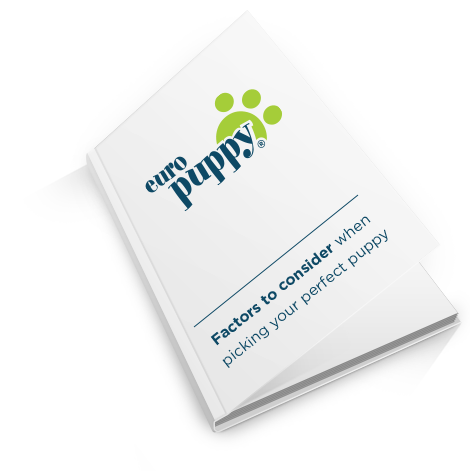 The breed is long-lived and hardy, but some dogs may suffer from back problems and genetic eye diseases. They are prone to cardiomyopathy, patellar luxation. These should be noticed as long as regular vet visits are maintained. Do not overfeed them as the Norwich can put on weight easily. 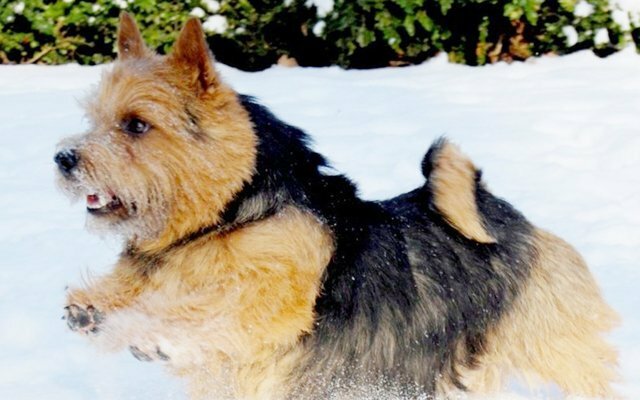 To minimize the risk of your dog developing any hereditary health issues, you should buy a puppy from a reputable Norwich Terrier breeder. 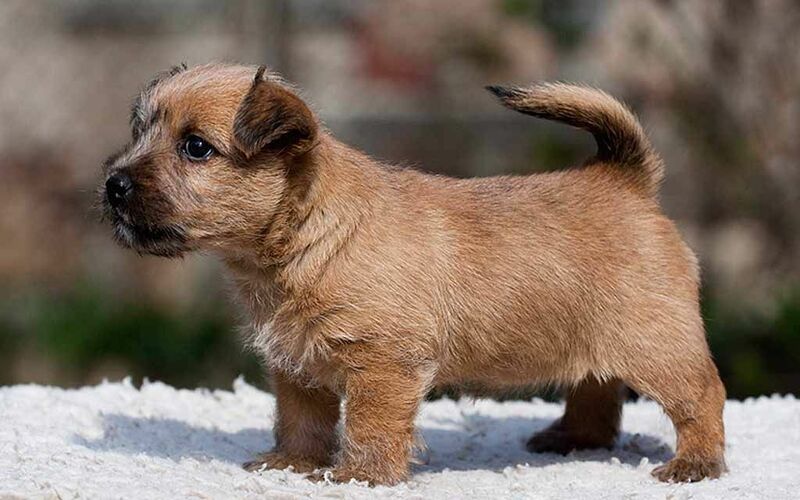 Because a Norwich has strong hunting instincts and typical terrier curiosity, most breeders require fencing as a prerequisite to owning a Norwich puppy or adult. Excessive heat can present problems for many dogs, so shade and water is vital in hotter weather. 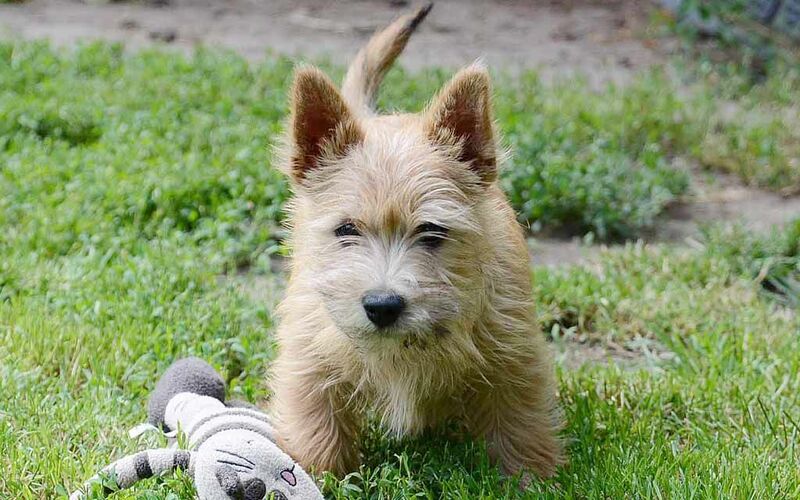 Seien Sie vor Allem, wenn eine neue Norwich Terrier Rasse zum Markt kommt. 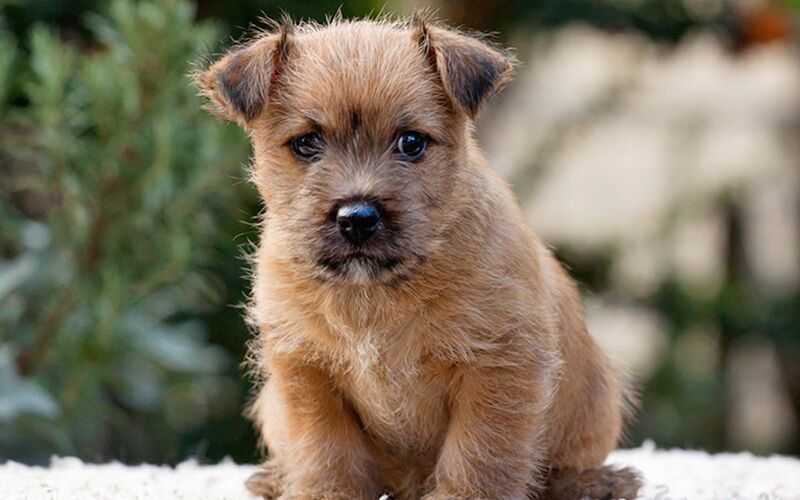 I consent to receive Notifications when new Norwich Terrier puppies are posted.